I’ve written about The Diner a few times and even recently said it was one of the 5 Restaurants Worth Revisiting Again and Again. Evidence of that point, I’ve just had a laid back brunch there again over the weekend, which as always, promises a satisfying American style meal with lots of eggs, sausages and pancakes. I love the variety on their menu, their milkshakes and bottomless brew coffee! 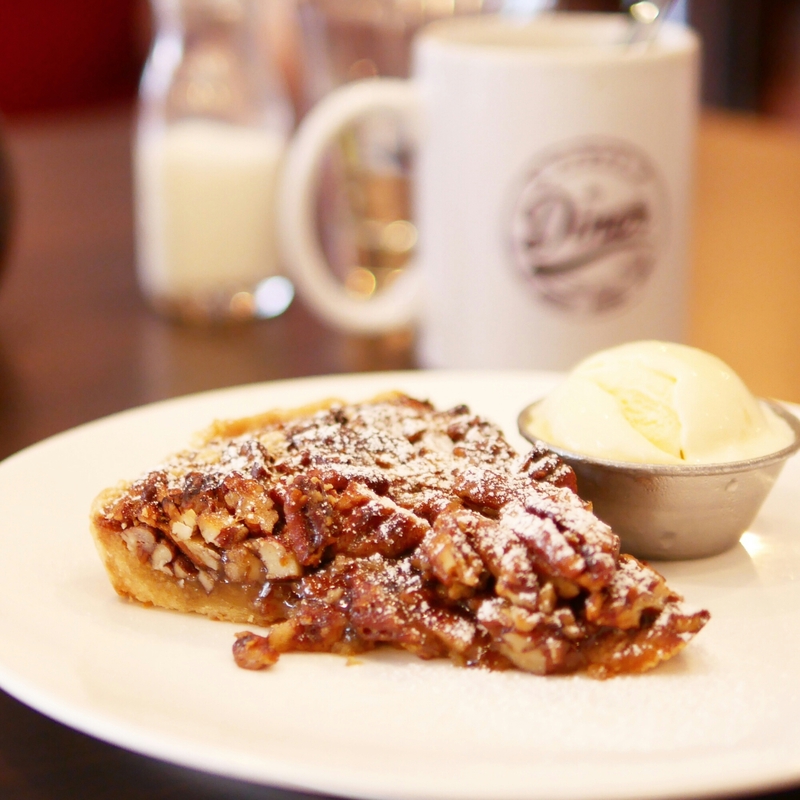 While browsing on Sugar, a food discovery app I’ve been using, I found that I could redeem their pie of the day at a discounted price – the perfect incentive to try something new (since I almost always just get their All-American breakfast). The pie of the day was a pecan pie which to be honest is not something I would usually order (if it wasn’t for the app). But it was a pleasant surprise and a good example of why we should always try new things! The pie was served warm, which is always amazing especially when there’s ice cream on the side. It had a soft and pleasantly chewy base with crunchy pecans covered in what I think was creamy light brown sugar. Despite looking like it was smothered in sauce, the pie was not excessively sweet. The portion was really big too – so I’d definitely order it again. 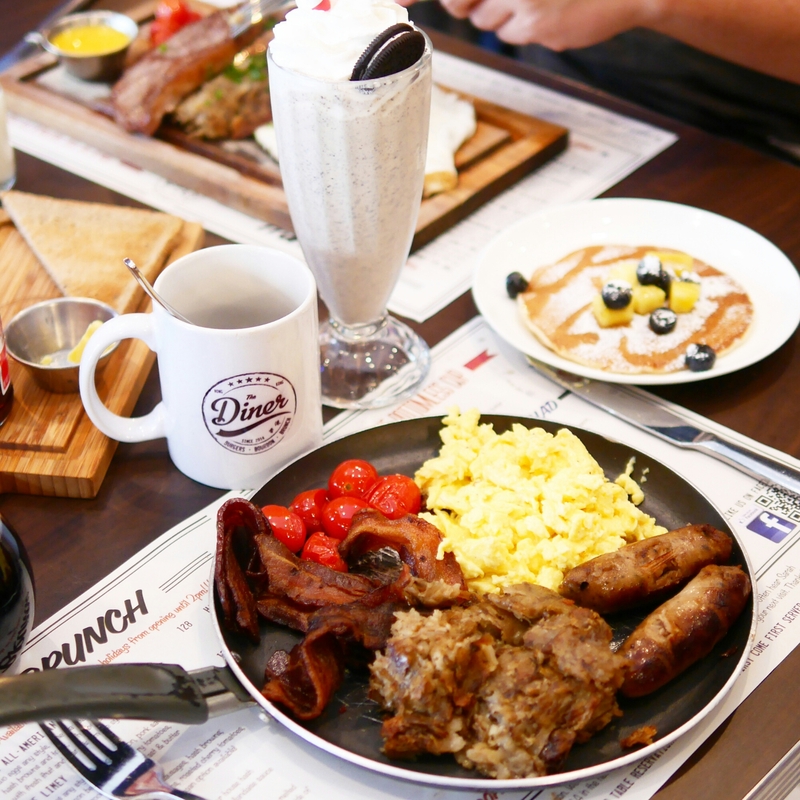 For the full review of The Diner, click here.